I, and many others, have written so much about Bo Kaap I feel it unnecessary rehash all the same information again. Normally, you'll find photos of brightly-painted colourful houses go along with stories about the area. This however is a different perspective on this old part of town. If you're super religious about reading my posts (and thank-you if you are :) ), you may recall that in April of 2008 I wrote one about Longmarket Street and how (many years ago) farmers used it to get their produce down to Greenmarket Square. Posted in General and tagged history, road on Wednesday, 21 April, 2010 by Paul. I love this picture and reminds me of the day I went for a drive in Bo Kaap (actually I took a wrong turn somewhere and ended up in the old part). It is an amazing area and definitely gives a new view on Cape Town. 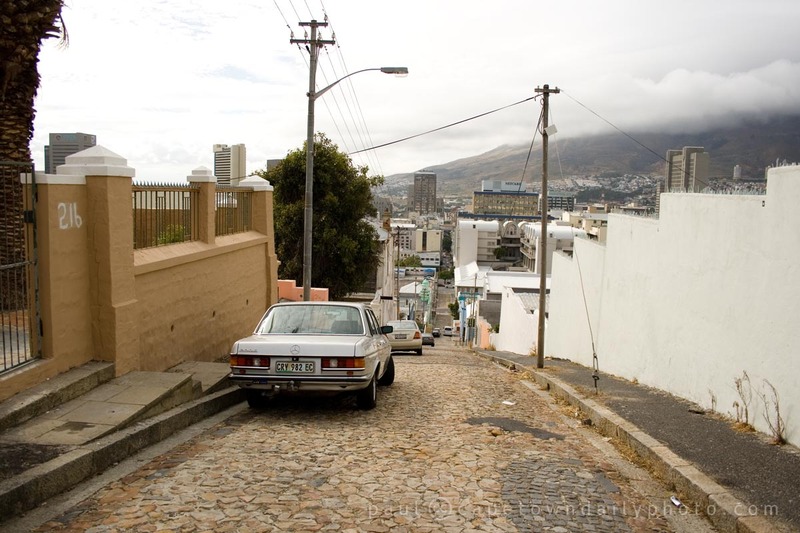 Ha ha, yes, it’s easy to arrive in the older part of Bo Kaap. It’s both strange and awesome how the homes up there (especially higher up against the hill) aren’t the mansions that you’d expect at such a prime location.